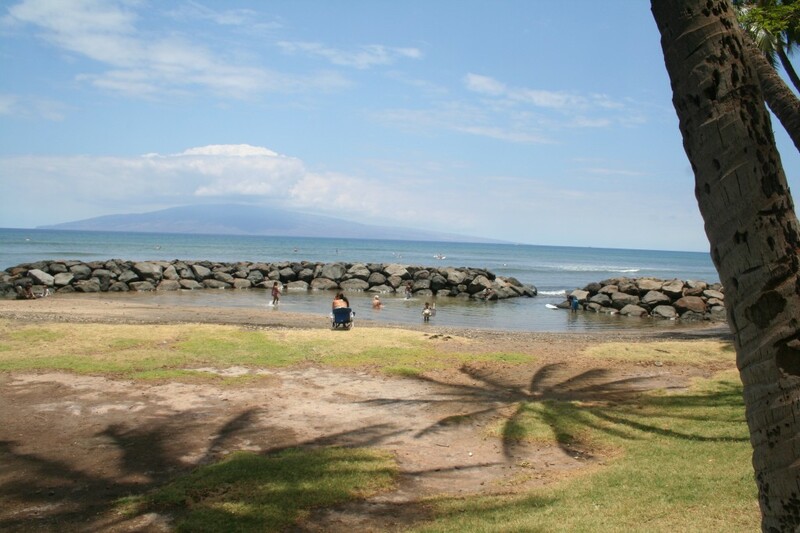 A cliff-side and shoreline drive to Lahaina passes along a spectacularly scenic shoreline with many beaches. 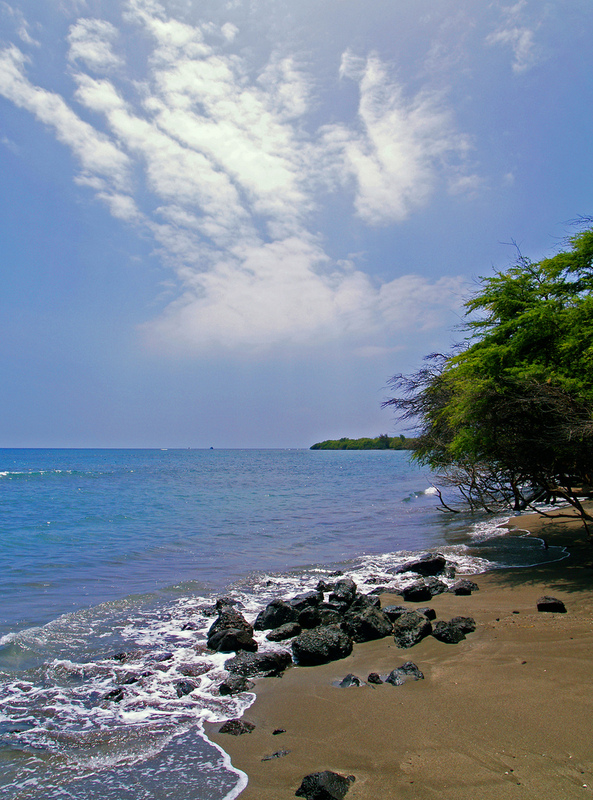 In a nutshell: A cliff-side and shoreline drive to Lahaina passes along a spectacularly scenic shoreline with many beaches. 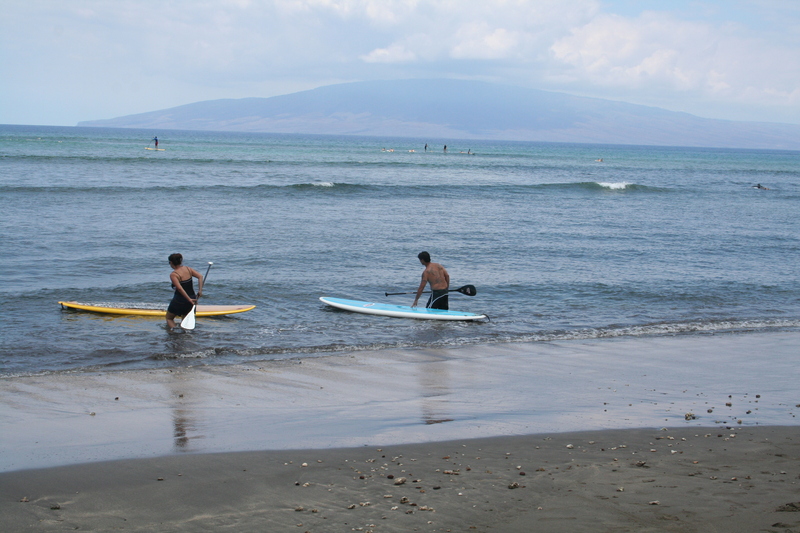 Regular long, small waves make this stretch of beaches one of the most popular to learn how to surf. 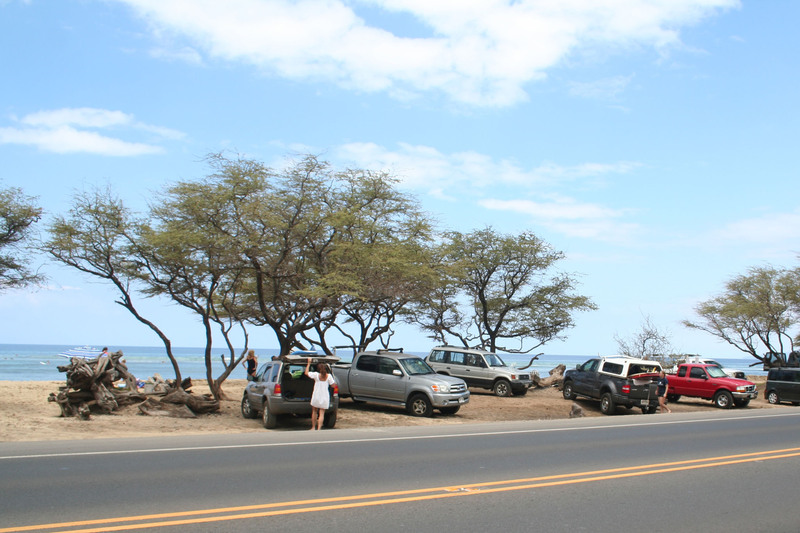 The Honoapiilani Highway hugs the coastline, passing cliffs, ocean lookouts and beaches. Parts of this drive are so close, that the beach is quite literally the shoulder. Most of the beaches are not visitor go-to places for sunning and playing, but they sure are nice to drive by. Learning to surf is one of the most popular reasons visitors end up in the water here – and if you just can’t resist a spontaneous dunk, you can just pull over and jump right on in! Right on the road. Narrow strip of sandy beach with kiawe trees and the ocean right there. You can camp here (except Thursdays) with advance permit from county (be sure to call well ahead of your visit: 808-661-4685) & paid fees – but it can get crazy windy later in the day and overnight! Some fair snorkeling. Surfing. Picnic tables, BBQs, no potable water, Port-a-potties. Also right on the road. Picnic tables, BBQ, port-a-potties. Surfing is good here. Fair snorkeling. Ukumehame Beach Park is practically on the road. Popular with families and crowded on weekends. When you can’t find a spot in the lot, there is plenty of overflow parking across the highway. There is reef close to water entry, and swimming is marginal. For the little ones, there is a small, protected man-made pool that connects to ocean. Good beginner surfing and plenty of surf schools offer lessons here. Picnic tables, BBQs, Bathrooms, Showers. Picnic tables & port-a-potties. Good beginner surfing, although it can get big seasonally. See Google map below for exact locations.